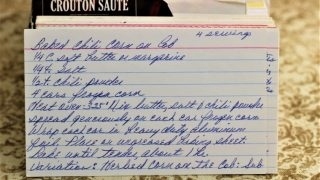 Front of the recipe card for Baked Chili Corn on the Cob. 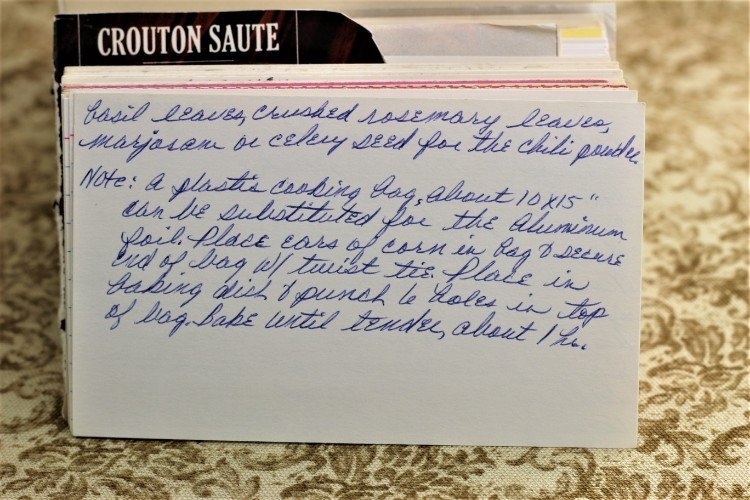 Back of the recipe card for Baked Chili Corn on the Cob. 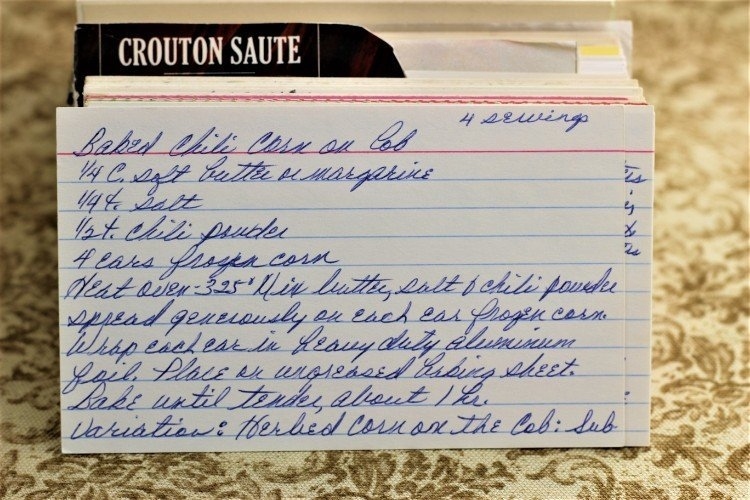 There are lots of fun recipes to read in the box this recipe for Baked Chili Corn on the Cob was with. Use the links below to view other recipes similar to this Baked Chili Corn on the Cob recipe. If you make this Baked Chili Corn on the Cob recipe, please share your photos and comments below! Mix butter, salt & chili powder. Spread generously on each ear frozen corn. Wrap each ear in heavy duty aluminum foil. Bake until tender, about 1 hr. Variation: Herbed corn on the cob: Sub basil leaves, crushed rosemary leaves, marjoram or celery seed for the chili powder. Note: a plastic cooking bag, about 10x15" can be substituted for the aluminum foil. Place ears of corn in bag & secure end of bag w/ twist tie. Place in baking dish & punch 6 holes in top of bag. Bake until tender, about 1 hr.